Our third meeting for 2016 was held on Wednesday 15th June, with 12 pathologists in attendance. Mick began by sharing a case of MCF in a heifer and there was discussion on diagnosis and the problems presented by autolysed tissue. Debra presented two interesting tumours,and following discussion glomus tumour and histiocytic synovial sarcoma were the most favoured differentials. Kathleen presented cytology of a round cell tumour in the skin of a young dog. The differentials of histiocytic and lymphoid origin were discussed. Trevor presented a case of proliferative necrotising otitis in a kitten, intestinal smooth muscle hypertrophy in a cat and an odd testicular tumour of uncertain origin. Aiden presented a case of vesicular lupus in a collie with some great clinical photos to complement the histology. Sean presented a difficult lymphocytic and inflammatory infiltration in the skin of a cat where the consensus view was epitheliotropic lymphoma, and another of our favourites, perineural infiltration by squamous cell carcinoma. Peter presented a case of lymphangiectasia and Ross a case of likely adenoviral pneumonia in a guinea pig. 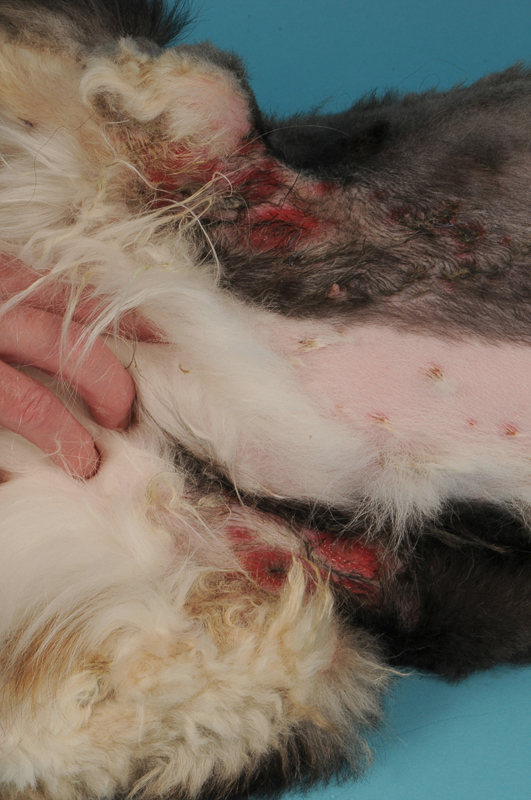 Eleven cases of vesicular cutaneous lupus erythematosus in Shetland sheepdogs and rough collies: clinical management and prognosis. Vet Dermatol.<http://www.ncbi.nlm.nih.gov/pubmed/14989704> 2004 Feb;15(1):37-41. 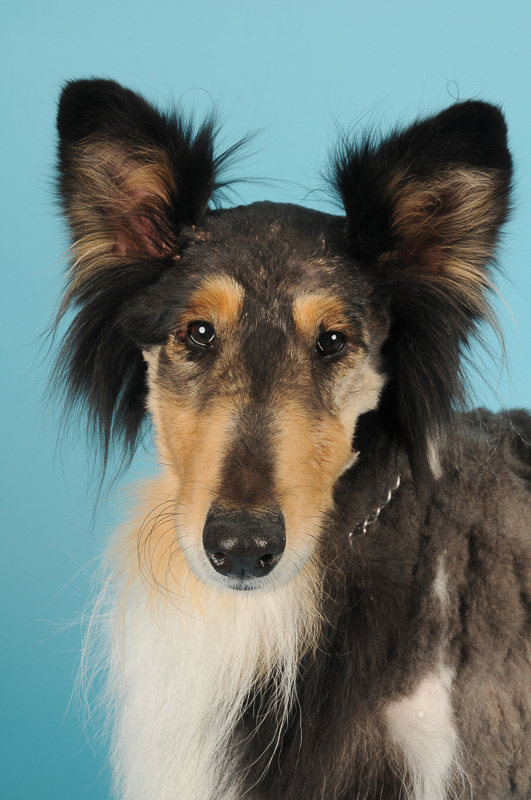 A case of vesicular cutaneous lupus erythematosus in a Border collie successfully treated with topical tacrolimus and nicotinamide-tetracycline Vet Dermatol.<http://www.ncbi.nlm.nih.gov/pubmed/24118370> 2013 Dec;24(6):639-41, e159-60. doi: 10.1111/vde.12078. Epub 2013 Oct 11. Mucocutaneous lupus erythematosus in dogs (21 cases). Vet Dermatol.<http://www.ncbi.nlm.nih.gov/pubmed/26096899> 2015 Aug;26(4):256-e55. doi: 10.1111/vde.12217. Epub 2015 Jun 12.